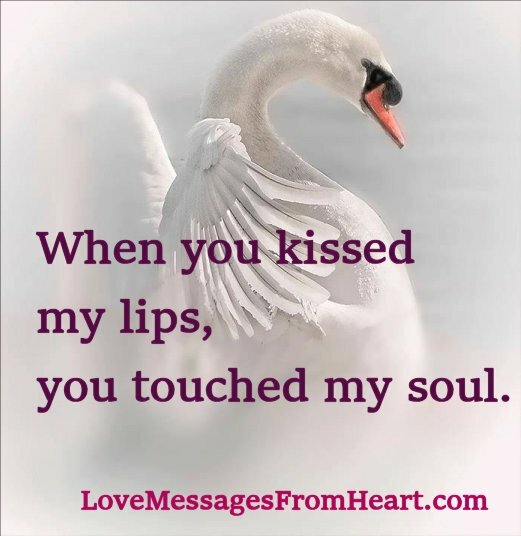 When you kissed my lips, you touched my soul. I am fascinated by the shape of your lips… they express pure love to me. When you kissed me the first time, I knew you were the one for me because you touched my heart like nothing ever could before. Sweetness drops from your lips, they are the only nectar I crave. Your lips are roses, overwashed with dew, glistening in delight. Your lips blush deep sweets, whispering the melody of love. I love this website. It has a lovely collection of love messages. I like this one. It is so passionate. It’s really good & nice.